Vac 'N Save Container 17-Piece Set Just $29.99! Down From $50! PLUS FREE Shipping! You are here: Home / Instagram / Vac ‘N Save Container 17-Piece Set Just $29.99! Down From $50! PLUS FREE Shipping! Vac ‘N Save Container 17-Piece Set Just $29.99! Down From $50! PLUS FREE Shipping! Looking for more storage containers? For a limited time, Jane has this Vac ‘N Save Container 17-Piece Set on sale for just $29.99 down from $49.99 PLUS FREE shipping! 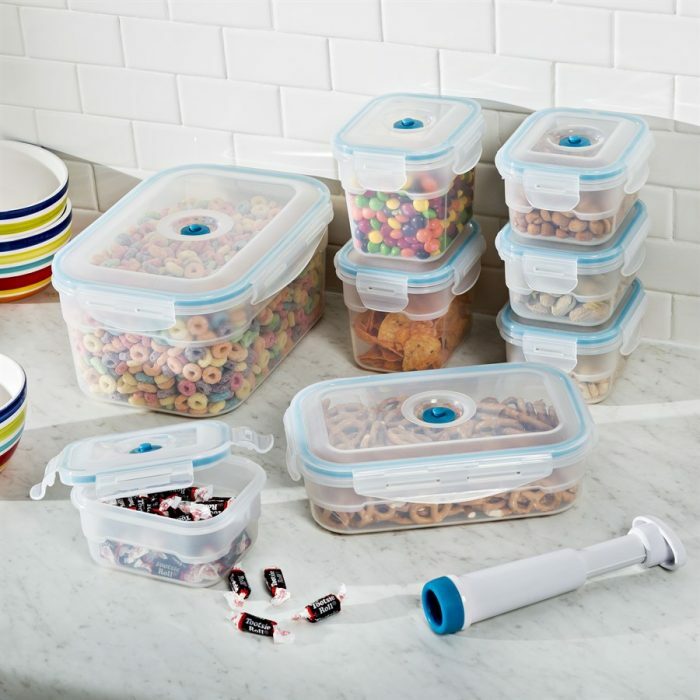 Store dry foods and liquids in these airtight, leak-proof containers. Hand-held pump seals freshness and flavor by keeping out moisture and air. Side buckles create an additional seal. These containers are BPA-free and dishwasher, freezer and microwave safe. This deal is ending soon so get yours now!